Each entry is either one more or one less than its answer. 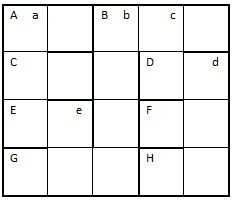 Letter references in clues are to the entry, none of which start with zero and all are distinct. To enter this competition, send your entry as an image or in list format, to ccpuzzles@talktalk.net before the 8th January 2016.The first correct entry drawn from the hat will receive a book donated by the Crossword Centre.